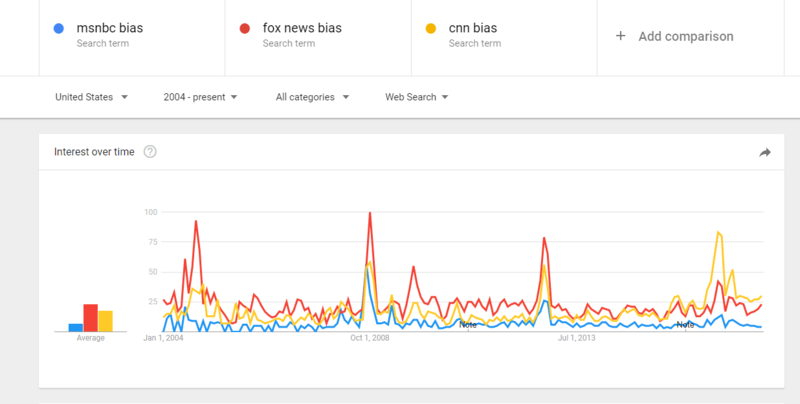 It used to be that searches for ‘Fox News Bias’ were far more common than searches for ‘CNN bias’. Not anymore. The other notable thing—correlated peaks around presidential elections. Note also that searches around midterm elections barely rise above the noise.